If you’re the one paying your power bills, you know what a huge drain they are on your budget. For many homeowners, the worst energy gobblers are your heating and air conditioning systems. So here is a simple idea that can really help you answer the question of how to save money and still keep your family comfortable year round. In every season, any time of the year, whether hot or cold, insulation is the answer. A good insulation barrier installed in your home will help reduce heat loss or heat gain. 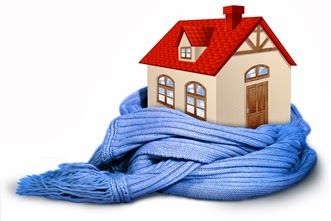 In the winter your heating system is working hard to create warm air to keep your family comfortable. You’d be amazed and discouraged if you knew how much of that heat was being lost just through the walls of your home. Insulating the foundation of your home can help keep that heat in your home where you want it. Since heat rises, a lot of the heat your furnace is pumping out goes right up into your attic and out your roof. Insulating your attic can help prevent that heat loss, make your home more comfortable, and save you money. In the summer, do you have the dreaded thermostat wars? Mom and the kids lowering the thermostat a few degrees to try and get more comfortable, then dad goes along right behind them and nudges it back up because he knows how outrageous the power bill is going to be. Adding insulation to your home can help you avoid those thermostat wars by actually lowering the temperature in your home in the summer anywhere from 2 to 6 degrees without adding anything to your power bill. Many of us also have unfinished areas of our home, specially basements. A lot of heat and cold is lost as the air travels through uninsulated ductwork. That is an easy fix with insulation. Insulating your home can quickly pay for itself in energy cost savings by reducing your heating and cooling costs by up to 20%. In fact, it can save 600x more energy than compact fluorescent lightbulbs, Energy Star appliances and resealing windows COMBINED. And since we all love icing on our cake, here’s another benefit to insulating your home. It can reduce CO2 emissions by up to 780 tons making your home not only more energy efficient for your pocket book, but also safer for your family. Contact us today for ideas on where and how to insulate your home to help take the “bite” out of those power gobblers and keep your family and your pocketbook happy year round.